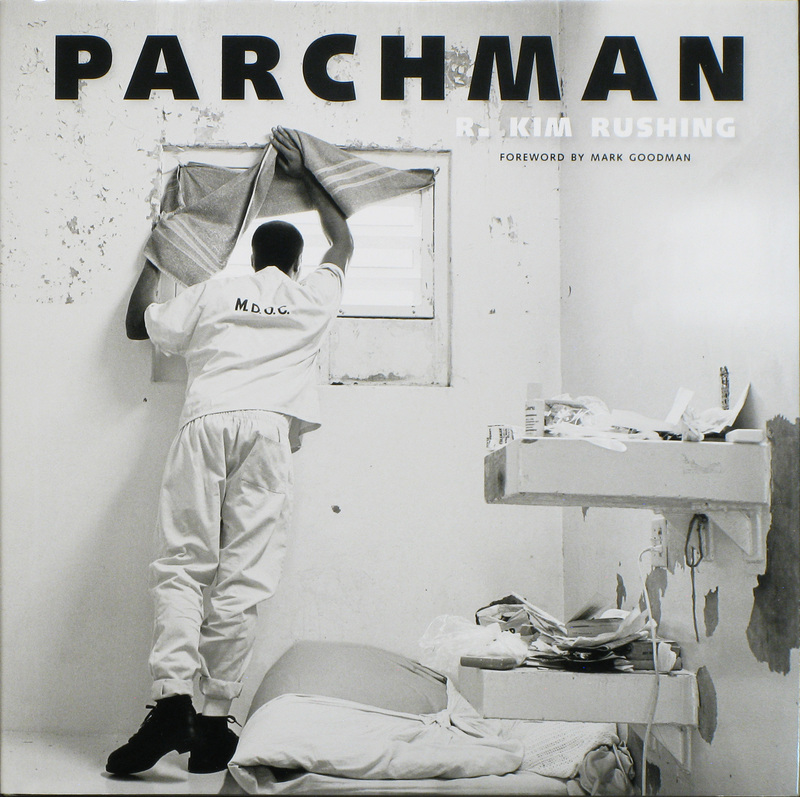 Book Review Parchman By R. Kim Rushing Reviewed by Karen Jenkins “Rushing hones in on the local, individual experience, cell by cell, and subjugates his own voice in favor of his subjects’. 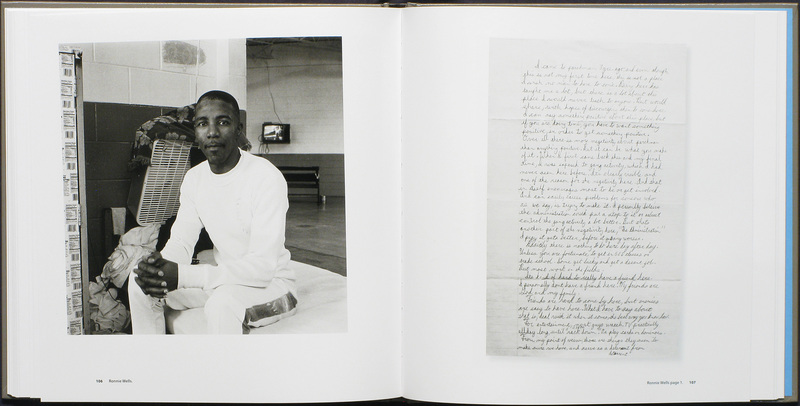 In addition to making photographic portraits of eighteen inmates, Rushing asked these men to create handwritten accounts of their incarceration, which are also reproduced in Parchman." Parchman. By R. Kim Rushing. University Press of Mississippi, 2016. Photographs by R. Kim Rushing. Foreword by Mark Goodman. University Press of Mississippi, Jackson, USA, 2016. In English. 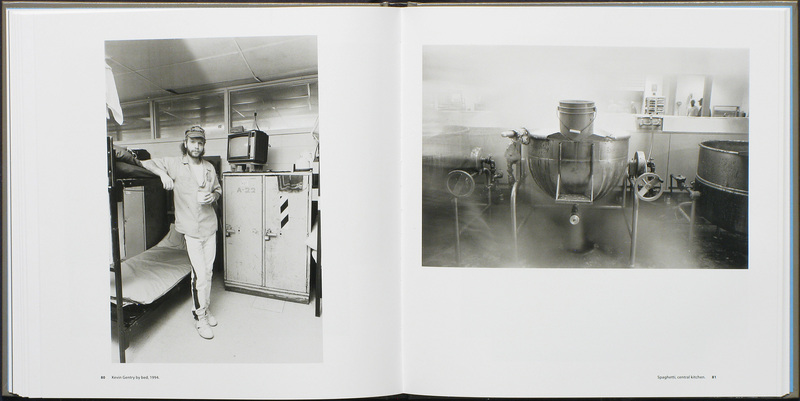 208 pp., 125 black-and-white illustrations, 10x10". 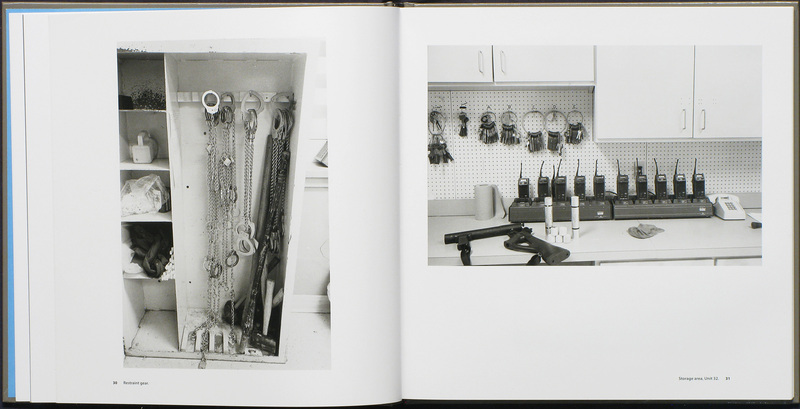 R. Kim Rushing became the first photographer to gain access to the inmates of the Mississippi State Penitentiary at Parchman in an unexpected way. Returning home to his native Delta region in 1994, he unwittingly gained the trust of the assistant warden, who remembered a story about Rushing running off a peeping Tom from his family home many years earlier. Such confidence, both earned and arbitrary, seems especially resonant with those brokered by the involuntary inhabitants he would spend nearly four years photographing. Initially constructed on a plantation model in 1904, Parchman had acquired, by the time of Rushing’s arrival, all the attributes of maximum security: guard towers, razor wire, electronic gates and of course, walls. He worked his way slowly through these barriers to his access (and others’ escape); first depicting the unoccupied spaces of communal living and details of prison infrastructure. We see the sterility of stainless steel dining rooms and washbasins, along with the tools of the trade in wireless radios and chain restraints. Inmates’ meager personal effects line the floor or are crammed into lockers, interspersed with snapshots or greeting cards from the outside. A recurrence of box fans and televisions points to a (hot) static existence, with a paucity of relief or release. An out-of-order sign attached to the glass barrier of a visitation booth is just discernable from the inside-out, prisoner’s point of view. For all the personal contextualization Rushing offers the reader in his preface and via a foreword by Mark Goodman, Professor of Communications at Mississippi State University, this series is not really about place in an expected sense. There are no images to conveying the sweep of Parchman’s 20,000 acres, nor any group photographs to suggest the size or overall make-up of its population. Instead, Rushing hones in on the local, individual experience, cell by cell, and subjugates his own voice in favor of his subjects’. In addition to making photographic portraits of eighteen inmates, Rushing asked these men to create handwritten accounts of their incarceration, which are also reproduced in Parchman. 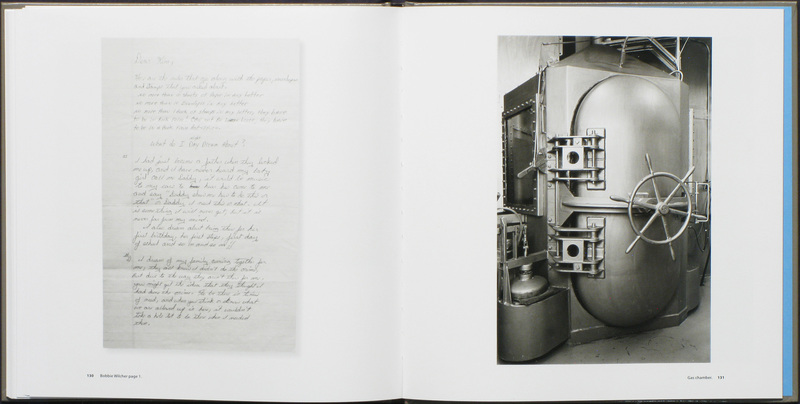 The resulting body of work is a study in confrontation: the inmates’ own confrontation of Rushing and the viewer in their portraits, and with their present circumstances and future aspirations through their writing. And to remind us that this is a punitive context rather than a therapeutic one, the off-camera threat of violence runs through these accounts – the physical confrontation of rage, desperation and disregard.